Jose Mourinho says Romelu Lukaku has trained in the build-up to the Manchester derby and could return against the Premier League champions. Manchester United play rivals Manchester City on Sunday at the Etihad Stadium, the scene of a stunning 3-2 comeback win for Mourinho’s men in April. Lukaku has been sidelined with a muscle problem and missed the 2-1 victory over Juventus in the Champions League on Wednesday. Anthony Martial, Juan Mata and Marcus Rashford are among the players to have grasped their chances to shine in Lukaku’s absence, with the striker having lost form. 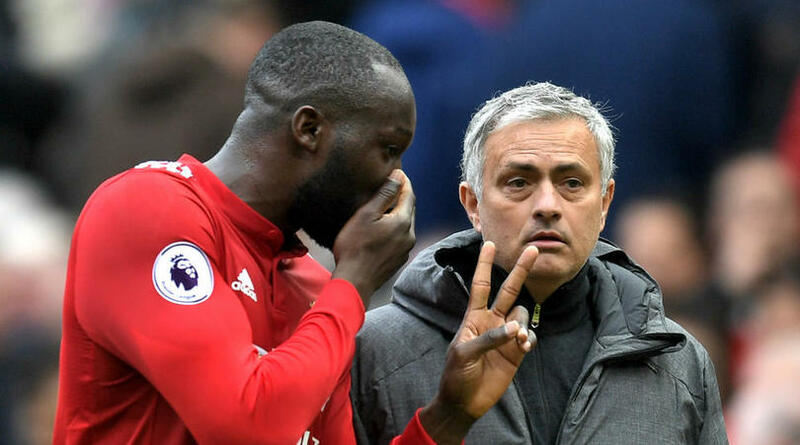 Lukaku has not scored for United since the middle of September but Mourinho could welcome him back for the trip to City, who lead the Premier League table. Mourinho, though, indicated the decision over whether Lukaku is fit enough to be involved could be left with the player himself. ‘Lukaku is training with the team this morning,’ Mourinho told a news conference. ‘If the answer is positive, then one more session tomorrow, if the answer is positive he’s ready. United have come from behind to win their last two matches but Mourinho hopes his side can show more defensive resilience to avoid having to repeat last season’s Etihad heroics. ‘We can go to the other side, why do we always concede first?’ Mourinho said when asked why United are so strong at coming from behind in matches. ‘In a positive way it’s easy to feel we are a team that always finds a way to fight back, sometimes changing results and sometimes not. But we have the collective spirit to fight back. ‘It’s not always possible, so if we keep conceding goals before the opponent we will arrive at a day we cannot come back. So we have to grow up in our approach, it’s clear the team is growing up, but we have to work on our compactness and start matches well.